The Italian lakes conjure a dreamy image of romance and beauty, amongst the bucolic landscapes. All around mountains tumble steeply into ribbons of blue, islands float enticingly just offshore, whilst mellowed villas sit in perfect gardens along the shorelines. Lake Garda, together with the surrounding area, exhibit an enchanting combination of Mediterranean foliage set against the backdrop of snow-capped mountains. The Alps are renowned for both their beauty and ability to offer outstanding driving roads. The Stelvio National Park is one of Italy’s major national parks. covering the whole Ortles range of mountains and topped by one of Europe’s largest glaciers, and crossed by the Stelvio Pass, at 2,757m the second highest pass (by 12m) in the Alps. For those arriving by air to either Venice, Verona, Brescia or Treviso airports, you will be met at the airport with your chosen vehicle. (Please see below for classic car hire details). Drive to the first hotel, where you will stay for two nights, just to the east of Lake Garda. The hotel has two very good restaurants for dinner. 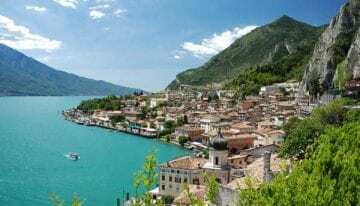 Spend the day exploring the eastern shore of Lake Garda, with its idyllic little villages such as Torri di Benaco, Garda or spending time at Punta San Verolo, right on the lake edge. While away time wandering the narrow lanes or enjoying good Italian coffee or ice cream sat by one of the many small harbours. Alternatively, visit Verona, with its wealth of Roman sites, and streets lined with beautiful, medieval buildings. The town is well known for its operas, and for being home to the Montagues and Capulets, with Juliet’s House (and balcony) on Via Cappello. Drive around the south of Lake Garda, visiting some of the Scaligera Castles that are dotted around the shores. Enjoy a wander around Sirmione, a popular, walled town, situated on a long promontory protruding 4km into the lake. Drive on to Desenzano and through to Salo and onto Gardone Riviera. It is a short drive, which gives you plenty of time to enjoy exploring the area. There is an optional detour to Brescia to visit the Mille Miglia Museum. Stay for two nights in a lovely hotel right on the lake shore. It is a short walk to a number of good restaurants for dinner. Enjoy a circular drive to Lake Idro and Lake Ledro, returning to Lake Garda at Riva, at the northern end, which is surrounded by mountains, often snow-capped. Bagolino, on Lake Idro, is a quiet little place, with some wonderfully preserved medieval houses, decorated with 15th century frescoes. Riva is a great place to stop and enjoy a coffee or pizza by the lake. The old town is very pleasant, with the castle alongside the port. Return to Gardone along the western shore, also known as Riviera del Limone, due to the citrus groves on the steep hillsides. The road is a fun drive, often quite high above the lake, affording superb views. Drive north back along the western shore of Lake Garda to Riva, and onto Trento. The town is encircled by mountains and has pleasant squares lined with shops and cafes, and streets lined with frescoed palaces. 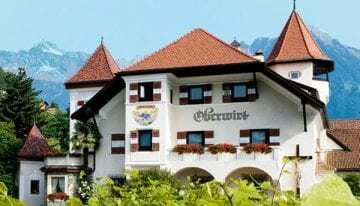 Continue north to Bolzano along the wine route (Strada di Vino) and then onto Merano. Merano is also surrounded by mountains, but the valleys are rich with vines, peach and apple trees. This is a very Germanic part of Italy, one having been South Tyrol and part of Austria and the Habsburg empire. Stay for two nights in a beautiful 15th-century country inn hotel, with fabulous spa and pool. 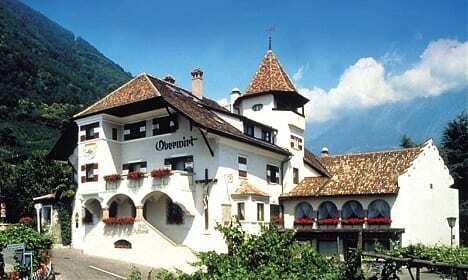 The hotel also has a wonderful restaurant offering good Tyrolean and Italian food. Drive a circular route starting out along the Adige Valley, which is lined with apple orchards. Turn off for the Stelvio Pass and head over the 48 hairpin bends (all numbered with stones) from the north side, and just 12 bends on the descent to Bormio. It is a fabulous drive and you will no doubt want to stop at one of the restaurants at the summit to enjoy the view and your achievement! Return to Merano for your final night. Stay two nights each in three hotels. All the hotels are comfortable and delightfully charming and enjoy captivating views of the lakes or mountains. Suitable parking is obviously a feature of each hotel as well. 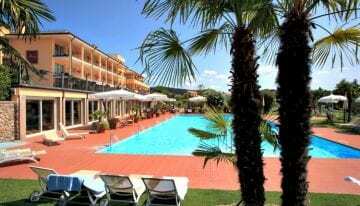 The first hotel, 3km to the east of Lake Garda, has a wonderful hilltop location with stunning views, gardens, a lovely terrace and swimming pool. rooms are elegantly decorated and have a balcony overlooking either the lake or the hills. Relax in the indoor or outdoor pool, spa or hot-tubs – or there is also a reading lounge, games room and wine tasting. For meals and drinks there is the poolside bar and two restaurants. The second hotel is situated right on the western shore of Lake Garda, with gardens leading down to the lake. Most the very elegant and spacious rooms have a balcony or terrace and many overlook the lake. There is a gourmet a la carte restaurant, and a swimming pool overlooking the lake. The final hotel is a family-run hotel on the slopes above Merano, dating from the 15th century. It has a fabulous spa, sauna and pool, set in delightful gardens. The atmosphere is homely, yet with contemporary, luxurious furnishings. The hotel has an excellent reputation for sensational cuisine and exquisite wines. If you are taking your own car you will also need your vehicle registration documents, driving licence (a photo-card licence or international permit is best), and an international insurance green card. If you are taking your own car, please check your travel and motor insurance that you are covered for travel in the required countries.You are also required to safety equipment: carry a warning triangle, first-aid kit, fluorescent jacket, set of replacement bulbs and a national identification sticker. Prices for 6 nights accommodation (for 2 people in a double/twin room), including breakfast, are from around €1,300 (depending on the standard of room chosen, and time of year).